Jonathan Worth served as general superintendent of the Fayetteville and Western Plank road beginning in 1856. Image courtesy of the North Carolina Office of Archives and History, Raleigh, NC. During the late 1840s, entrepreneurs started receiving government charters to build plank roads, and by the mid-1850s, enthusiasm for such projects reached its statewide zenith; there were thirty-nine bills for plank road charters in 1852, and in the 1854-55 legislative session, thirty-two charters were granted. Except in a few cases, the charter process was similar for plank road companies. The first step was the election of officers. Providing detailed construction plans was the second. The third was soliciting and acquiring subscriptions—the money given by investors for construction costs. When the starting amount was raised (which varied by law from ten to twenty-five percent of the total expected cost of the road), stockholders convened to elect six to nine directors, who were then given control of subscription money. Soon afterward, directed by a board and president with the power and privilege of property rights, the companies were incorporated. Many North Carolinians were excited about the possibilities of plank road construction. According to one historian, “the spirit of progress was everywhere” in the state. Those in the mountains hoped plank roads connected them with the rest of the state, so they could benefit from increased trade. Those in coastal towns, such as Wilmington, envisioned the plank roads leading to and from the ports and contributing greatly to an intrastate trade network. From the mountains to the coast, and everywhere in between, entrepreneurs forecasted profits and consumers anticipated quicker shipments of needed goods. At times, however, the logistics of road construction produced contentious debate. The right of eminent domain was invoked to take individual’s land and some alleged that government officials and plank road officers colluded for personal gain. Once construction began, public enthusiasm waned. The development was not for those lacking heart or brawn. People realized road construction was an arduous task, requiring more effort, money, and maintenance than previously thought. Workers first graded a roadbed. Then they elevated the center of the road so that water could drain. Measuring approximately five by eight feet, wooden sills were laid next as support. After that, pine planks measuring approximately eight feet long and eight inches wide and four inches thick were laid on top of the sills. Laws required the roads to be a minimum of eight feet and a maximum of sixty feet, and typically plank roads were eight feet wide and adjacent to a well-graded dirt road. Avoiding getting stuck in the mud, teamsters traveled on the planks, while individuals and light carriages passed on the dirt road. To help pay for this construction, companies placed toll houses along the road. On one road, one rider on horseback paid .5 cent per mile, a teamster with two horses paid 2 cents per mile, a teamster with three horses, 3 cents, and one with six horses, 4 cents. Believing the companies to be “cheeters,” some avoided the tolls and cheated the companies out of a significant profit. As with any type of construction, the skill and speed of work crews, the accessibility of raw materials, and the weather determined the time needed to build a road. A team of fifteen usually laid 650 feet a day, or about one mile a week, or forty miles a year. One crew of fifteen, however, put down an impressive 1,000 feet a day (more than a third and almost twice as fast as the average crew). 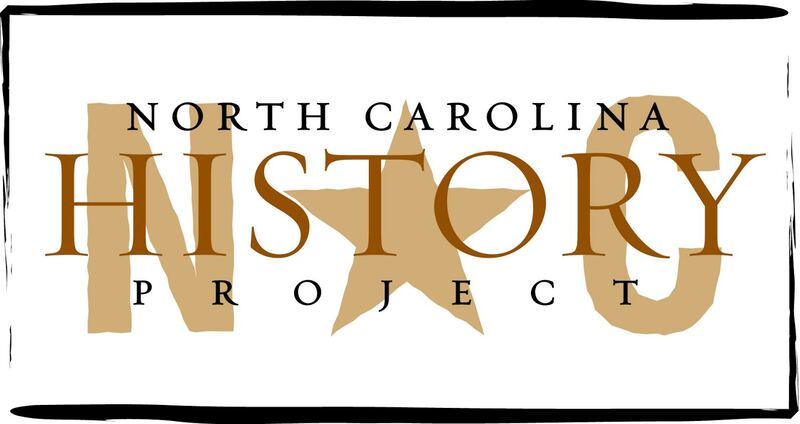 In the 1850s approximately 500 miles of plank road were laid in North Carolina. The longest plank road was the Fayetteville and Western, which stretched 129 miles from Fayetteville to Salem. It was one of the few that received state financial assistance. Each year the Fayetteville and Western made a profit, and in turn, the state revenue grew. Many government officials, such as Jonathan Worth of Randolph County and Francis Fries of Salem, also served as company officers. Scholars suggest that plank roads were doomed from the start. First, they competed with railroads, a faster mode of transportation. Also, the timing of plank road construction was bad; in 1856 the North Carolina Railroad connected the mountains with the coast. Second, travelers cheated road companies by avoiding tolls. Third, the economic panics of the 1850s discouraged many investors. Fourth, plank roads required continual and costly maintenance. And fifth, the circumstances of the Civil War damaged or destroyed many plank roads. Although the plank road movement was described as a failure, historians consider it an important development that rescued the state from its “slothful” economic condition. More scholarship needs to be done, however, to determine that the failure of the plank road movement was “inevitable,” and if the Tar Heel state was indeed economically inactive. Robert B. Starling, “The Plank Road Movement in North Carolina” North Carolina Historical Review (1939) 16: 1-22, 147-73 and Harry L. Watson, “’Old Rip’ and a New Era” in Lindley S. Butler and Alan D. Watson, eds., The North Carolina Experience: An Interpretive and Documentary History, 217-40.